Becoming one of the leaders at PSV and in the Dutch national team, midfielder Mark van Bommel moved abroad in May 2005. He signed a 3-year contract for the Spanish champions FC Barcelona. However, not being used as often as wanted by Dutch coach Rijkaard, he moved a season later to Bayern München to sign a new 3-year contract until 2009. In March 2009, the captain of the German giants extended with another season until 2010. In the season 2009-10 Bayern was coached by Dutchman Louis van Gaal. In March 2010 Van Bommel extended his contract with another season until 2011. The club became champions of Germany and won the German Cup in the 2009-10 season. 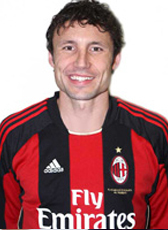 A half year later in January 2011 Van Bommel moved for the rest of the season to AC Milan. The Bayern club allowed their captain a free transfer thanking him for his performances at the German club. His second half of the 2010-11 season was very successful. He won the Italian league with AC Milan and agreed in May 2011 a year extension on his contract until June 2012. Since September 2010 Van Bommel was the captain of the Dutch national team. He was international until the European tournament in 2012 and hang up his international boots at the end of the tournament with 79 caps. In May 2012 he announced his return home by sealing a contract for the 2012-13 season at his former club PSV Eindhoven. At the end of the season Van Bommel retired form professional football at the age of 36 year. The defensive midfielder is likely to start a new career as coach. Mark van Bommel was appointed head coach of PSV Eindhoven for the 2018-19 season.